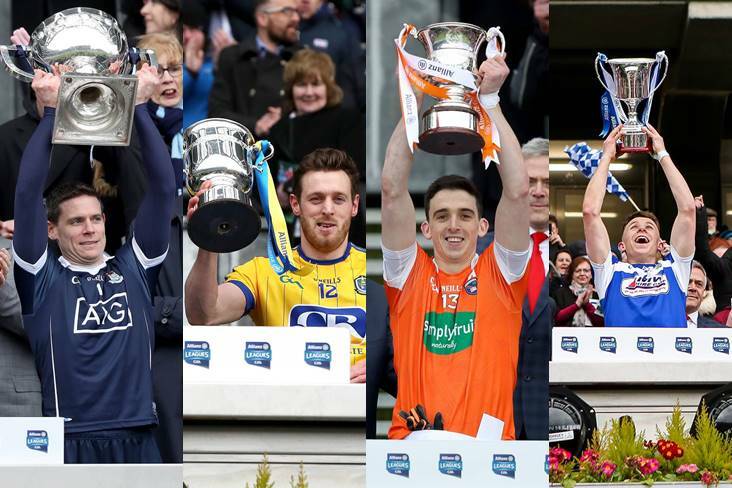 The four 2018 Allianz FL winning captains... Stephen Cluxton (Dublin), Conor Devaney (Roscommon), Rory Grugan (Armagh) and Stephen Attride (Laois). Is there anything more beautiful than Shane Walsh playing Gaelic football? Just give the ball to Damian Comer. Goal feast in #CrokePark Exciting game for all supporters - good win lots to work on before Cship ... #AllianzFlDivision2Final #TG4sport @RoscommonGAA Div2 winners ! Nice to see Armagh players enjoying the surrounds of Croke Park. A more comfortable victory than the score line suggests. All about championship now though. I'd happily take a 2 point win in Enniskillen in May.